The Republican Party is racing to assassinate James Comey’s character before his tell-all book hits shelves next Tuesday. The former FBI director’s literary debut is expected to paint Donald Trump as an authoritarian oaf with no respect for the rule of law. The Republican National Committee has built a website explaining why you shouldn’t believe that. This case is, of course, mendacious and absurd. Yes, Democrats (rightly) criticized Comey’s handling of the Clinton email investigation. But that is only relevant if Trump can credibly claim that he fired Comey in response to those complaints. And he can’t — both because he applauded the very action that Democrats criticized most, and because Trump has already said, on national television, that he fired Comey because he disapproved of the FBI’s Russia probe. Of course, there isn’t actually any contradiction between Comey’s answer and his allegation. Trump could have tried to obstruct certain lines of the FBI’s investigation into his campaign, without ordering an end to the broader probe into Russian interference. But such quibbles are ultimately beside the point. The hype around Comey’s book and the RNC’s attempts to discredit it both proceed from the same false premise: that James Comey has something important to reveal about Donald Trump that Donald Trump has not already revealed about himself. 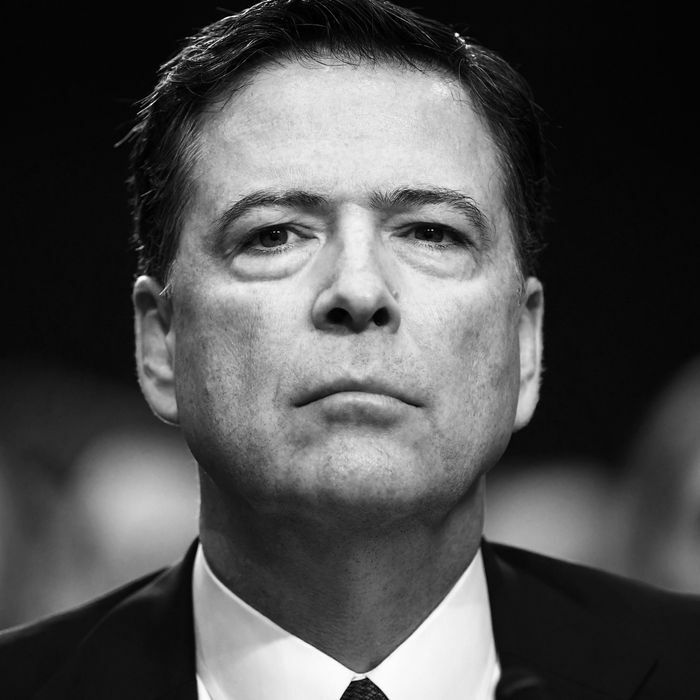 Comey’s primary allegation is that the president has contempt for the concept of equality before the law, and believes that the Justice Department’s first loyalty should be to him, not the Constitution (the title of Comey’s memoir, A Higher Loyalty, is an implicit reference to this charge). The thing is, we don’t actually need to take Comey’s word for that. The president has said, publicly and repeatedly, that he believes he has the “absolute right to do what I want to do with the Justice Department.” He has suggested that former attorney general Eric Holder helped Barack Obama get away with illegal acts — and praised Holder for doing so, telling the New York Times, “When you look at the things that they did, and Holder protected the president. And I have great respect for that, I’ll be honest.” Meanwhile, the president berates his own attorney general for failing to display such loyalty on a near-daily basis.